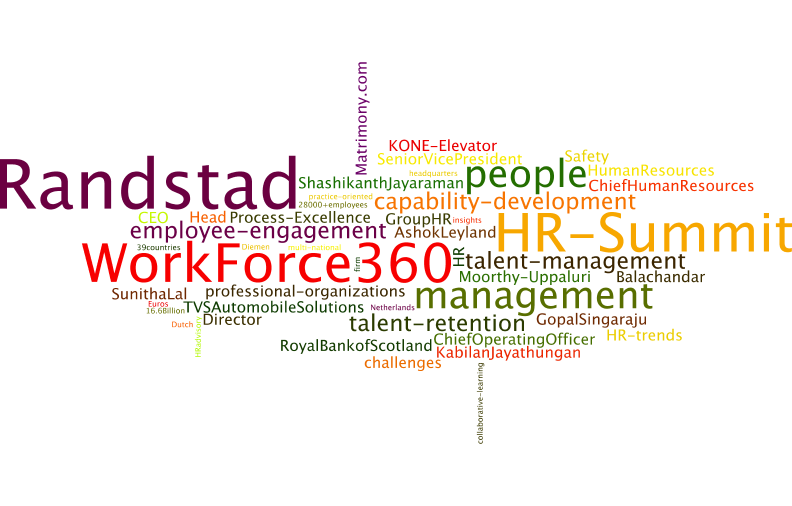 WorkForce 360 was a HR summit organized in Chennai on 19th February, 2015, for highlighting the emerging challenges and the best practices in human resource management, which is increasingly being recognized as a dominant area of competency for which highly skilled professionals would be required by the industry. This conference was organized by Randstad, which is a leading people management services provider with numerous client-dedicated locations nationwide to serve the staffing needs of a wide variety of professional firms across multiple industries.Randstad is a Dutch multi-national HRadvisory firm headquartered in Diemen, Netherlands which offers a plethora of services in the domain of employee and people. Ithas a presence in around 39 countries and is the second largest HR consulting firm, globally.As per 2013 data published in Wikipedia, the firm has a turnover of over 16.6 billion Euros and employs over 28000 employees. 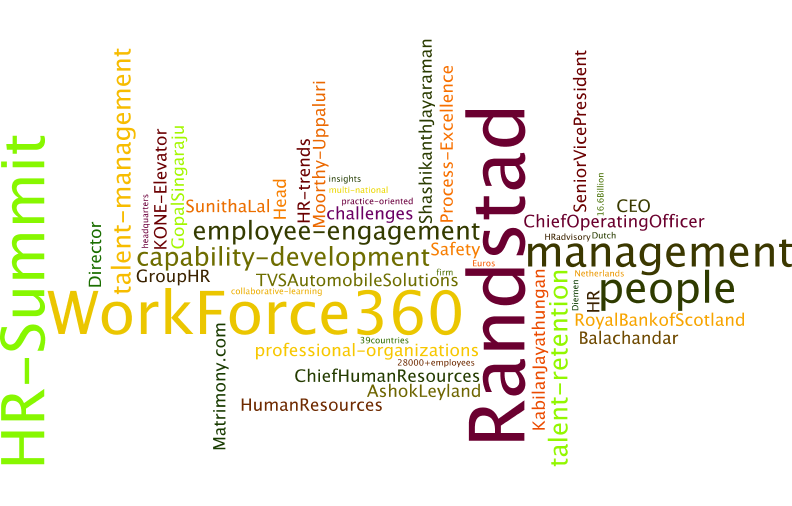 Workforce360was an initiative taken up by Randstad which aims at providing the HR professionals, comprehensive insights on talent management, employee engagement, talent retention and capability development. It was created as an online and offline platform for thought leadership and sharing of best practices to enable the HR professionals with continuous and collaborative learning and practice oriented insights. Workforce 360 in 2015 was the 11th event of its kind. So it already had a rich history of 10 previous glorious events which provided an informative rich platform for discussing HR related issues and best practices. The HR practitioners have long been the drivers of cultural transformation and organizational change within professional organizations and will continue to do so for a significant period of time. As organizations gear up for the next era of growth after the economic slowdown, the HR function has also evolved in this transformational phaseto a more strategic role in the emerging organizations. Given this backdrop of changes across industries, WorkForce 360 focused on investigating how differently should the HR teams function in 2015 as compared to the recent past? ​ What are some of the major HR trends & challenges to look out for in these emerging times? How will the different approaches of talent acquisition and retention evolve over the years? Are the HR professionals in India equipped to move at the speed of evolving needs of the day? V. Balachandar: Senior Vice President and Group HR and Process Excellence at Ashok Leyland, highlighted the focus on key imperatives like service focus towards internal employees who are in current times often more knowledgeable about expectations, more vocal and more challenging. Subsequently, the socio-economical change in the society was highlighted and its implications for HR managers. Subsequently the diversity among demographics in the work association was highlighted. Finally he highlighted how technology is changing the paradigms, modes of operations and way of engaging with the different stake-holders like the employees and customers. He highlighted the need to accommodate the sensitivity of the diversity of cultural events and sentiments of the workforce. Sunitha Lal, Chief Human Resources Officer at Matrimony.com Pvt. Ltd highlighted the importance of changing information technology which is transforming the business model. There is a lot of focus on differentiation of the services offered by the organization and the difference of business heads who need both domain specific competency (for organized and unorganized sector) and also business acumen. 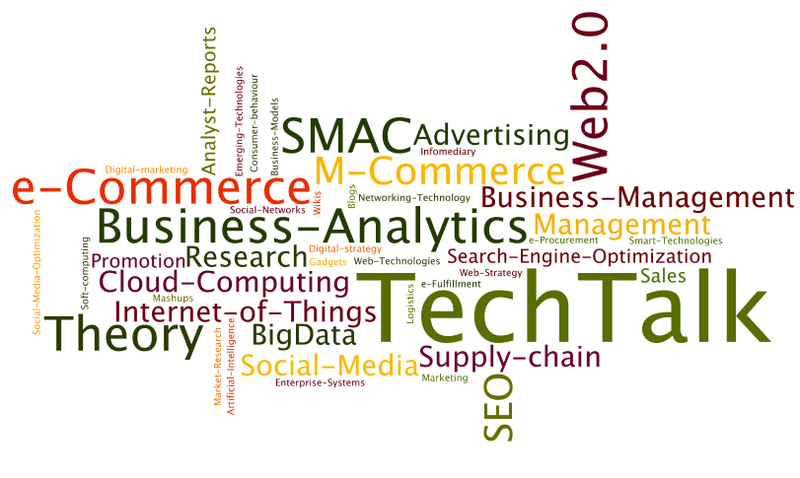 Data management is also of prime importance in this emerging domain. Diversity was also a major challenge in the B2C business, and so the rules are majorly changing. So the adoption of best practices and emulating the world leaders (like Infosys) is not an option in niche markets. So talent acquisition becomes a challenge for such a niche market, where adaptation and business understanding takes time to develop. Shashikanth Jayaraman, Head – Human Resources, TVS Automobile Solutions Ltd, the moderator of the panel, highlighted the diversity of the panel, highlighted the need of the start-up mentality to go hand-in-hand with the business and line functions. He highlighted the need of connecting people needs with business needs for growth and sustainability, within the evolving and diverse times. He deliberated why and how HRs could move towards the path to the CEO’s position. Moorthy K Uppaluri, CEO, Randstad India & Sri Lanka, highlighted the need of high fitment, high talent, and just-in-time availability within employers is increasing. Employees also in turn want to have fun, learn on the workplace and grow faster in their workplaces. So this involves a changing diversity and environment which managers need to manage. Technology was highlighted as being RED (Reach people, Engage people and Develop people). He highlighted the need of the three As (Align with the Business, Adapt to Changes and Accelerate to meet goals) for the HRs. He also highlighted the importance of technology (e.g., emails, gamification) to engage with stakeholders and make work enjoyable and easier. The need of empowering employees, making work adventurous and enabling freedom is important for the younger employee demographics. 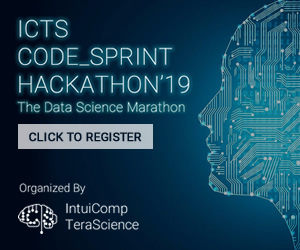 Gopal Singaraju, Chief Operating Officer at Royal Bank of Scotland highlighted how HR was never given credit to the success of ITS/ITeS in drastically reducing the employee turnover rate. He shared concern how HR never features in the annual report or balance sheet of knowledge organizations where knowledge is the key deliverable. Further he highlighted the need of publishable metrics and communicate the benefits of the professional contributions of the group. He also highlighted how people preferred to stay in their domain and comfort zones instead of taking up new roles, which HR people may not prefer. KabilanJayathungan, Director – HR & Safety at KONE Elevator India Private Limited, highlighted the increasing importance of employee feedback for enhancing employee-manager relationship and engagement. Metrics need to be developed, accountability needs to be traced and people planning needs to be faster to get the credibility from the senior management from the line function. The focus on tangible RoI was highlighted in these era of changing times. He also highlighted how HRs could take an active role in communicating the business priorities to its people which could have a huge business impact. Leaders have less time, and HRs need to present their case in a sheet of paper, with clear deliverables and RoI and action items. Indeed the Human Resource professionals would have a lot to take away from the insights shared by the senior practitioners in the industry, based on their experiences. If you are an aspiring HR professional, please join up their LinkedIn group to follow their discussions and communications, and for getting regular updates.